Our Price £14.50 Another currency? The last part of the book deals with particular types of tropical plants, such as flowering trees, shrubs and climbers, and herbaceous plants (including annuals, perennials, bulbs, etc. ), as well as foliage plants like ferns, palms, philodendron, cordyline and others. Tropical Fruit plants are also covered. 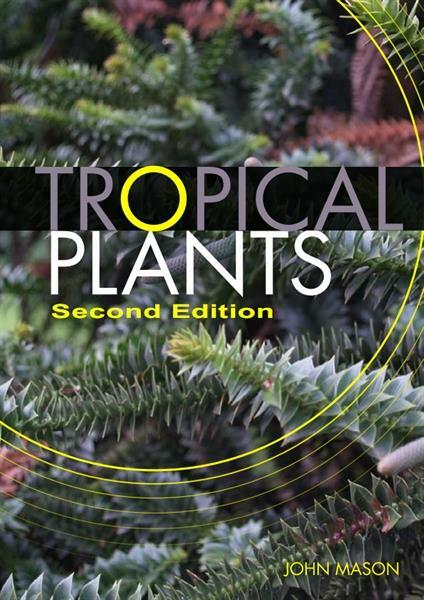 This book is an excellent starting point for successful gardening in the tropics and sub tropics. It is not a comprehensive manual, but it does deal with a large variety of the most commonly grown plants. The information is based upon personal experiences of the author (John Mason) and his staff at the Australian Horticultural Correspondence School, cross referenced with reputable references from South East Asia, the Pacific and other parts of the world. Lush growth, vivid colours and a warmth in the air which makes anyone feel relaxed; these are what we strive for in a tropical garden. All too often though, we get uncomfortable sweltering heat, wilting plants and armies of insects that eat the garden faster than it grows. This book shows you how to get closer to the first of these options, and ways of overcoming those problems which are particular to gardens in warm climates.